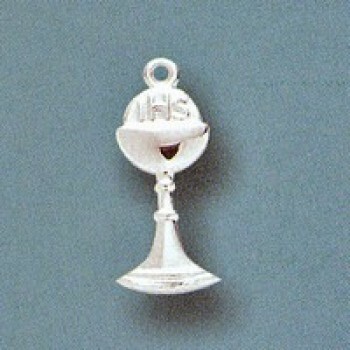 Religious pendants are small, decorative metal pieces that are often worn on a necklace. They come in all shapes, sizes and designs, depicting a variety of saints, Biblical figures and religious symbols. Matthew F. Sheehan carries a large selection of premium religious pendants to choose from that are beautifully crafted with fine attention to detail. We carry a wide array of designs to choose from, including pendants depicting the Blessed Mother, St. Christopher, crosses, anchors, St. Sebastian and more. Our pendants are made from quality metals such as 14k gold, sterling silver, gold-filled materials and more. Religious medallions also make great gift ideas for birthdays, anniversaries, graduations and other milestone events. St. Francis of Assisi with Animals. Religious pendants are simple in design, but play an important role in faith and spirituality. Many Christians believe that wearing a pendant or keeping one on your person or in a vehicle is a way to evoke a special type of protection or blessing from the saint or figure that is depicted. 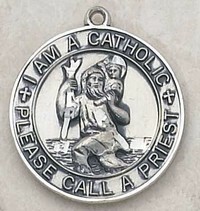 For example, a St. Christopher medal can be worn or kept in a car to help protect motorists. 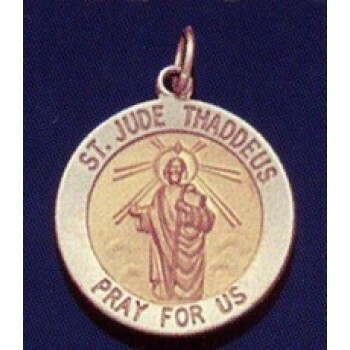 St. Christopher medals are popular gifts for teens upon receiving their driver's licenses. A 14kt gold St. Florian medal would make an excellent gift for a firefighter as the featured figure is the patron saint of firefighters. For new moms, you can't go wrong with a Blessed Mother gold pendant. We even carry military religious medals featuring symbols such as anchors or St. Michael. When giving a religious pendant as a gift, it's important to take into consideration the figure depicted and the meaning behind the design. Matthew F. Sheehan carries a large selection of beautifully crafted religious pendants to choose from, so you're sure to find exactly what you're looking for. For more information on a particular pendant, or the Biblical figure pictured, please click on the image of the design that you are interested in to view the item's product details. At Matthew F. Sheehan, we strive to offer the best selection of premium religious goods at affordable prices. We have been in business since 1907, and are the leading authority on church goods. 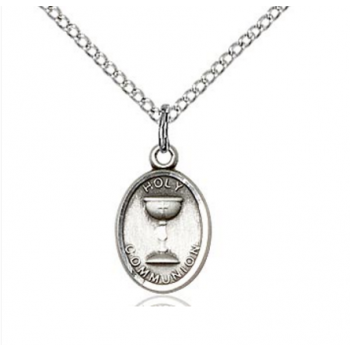 Shop today and take advantage of our knowledge and expertise to get the best religious pendants available.